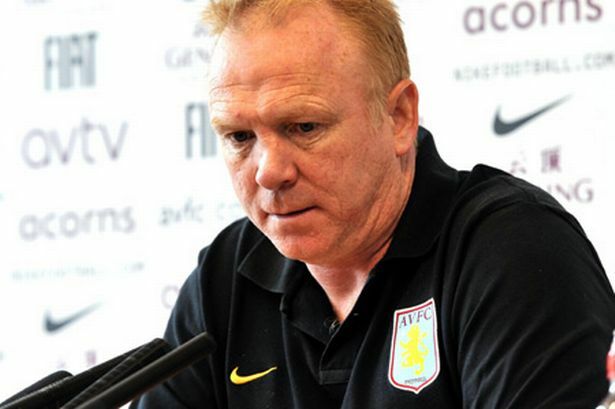 Alex McLeish has been sacked by Aston Villa after only one season as manager of the club. The former Birmingham City manager was relieved of his duties less than 24 hours after the end of the season which saw the club miss relegation by only two points. It puts an end to a period of turmoil at the club, after the appointment was met by large-scale protests and he went on to oversee a record low of four home wins in a Premier League season. The last game in charge for the Scot, known as Big Eck, was Sunday’s 2-0 away defeat at Norwich City. After the game he hit out at the performance, calling it "rotten". Villa chairman Randy Lerner said the board had been disappointed with this season&apos;s results, performances and the general message these have sent to fans. He said: "We need to be clear and candid with ourselves and with supporters about what we have lacked in recent years. "The most immediate action that we can take is to look carefully at our options in terms of bringing in a new manager who sees the club&apos;s potential and embraces our collective expectations." Chief Executive Paul Faulkner said: "We&apos;d like to thank Alex for his hard work and efforts throughout this tough season. "We are mindful of the club&apos;s need to prepare thoroughly for the new campaign and for the new manager to be able to begin working with the board so that he is quickly immersed in these preparations and also in the long-term objectives of the club. Villa chairman Randy Lerner will now begin the search for a fourth manager in less than two years. Martin O’Neill quit in the summer of 2010 and Houllier had to leave Villa last summer on health grounds, which led to McLeish’s controversial appointment after leaving Blues. Wigan manager Roberto Martinez – who turned down the Villa job last season – along with Norwich manager Paul Lambert and former Villain Alan Curbishley are among the favourites to succeed McLeish. McLeish has had to contend with slashing the wage bill, which he described as "astronomical", and has been deprived of several key players through injury or illness. He always stressed it would be a season of transition after replacing Gerard Houllier last summer, but it was still a surprise that Villa only made sure of survival last weekend. Their tally of 38 points in finishing 16th is actually one less than when McLeish was relegated with Birmingham last campaign.